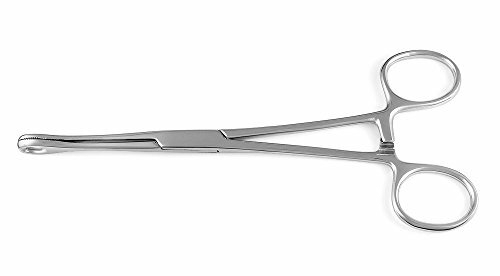 Forester Slotted Forceps 6.5 inches long high grade Surgical steel with a 13mm round head. Slotted opening clears needles up to 14 gauge. Round head measurments: 5.5mm inner diameter at the top and 8mm length of inner round head with a 2.3mm slot opening. If you have any questions about this product by Scrap Metal 23, contact us by completing and submitting the form below. If you are looking for a specif part number, please include it with your message.